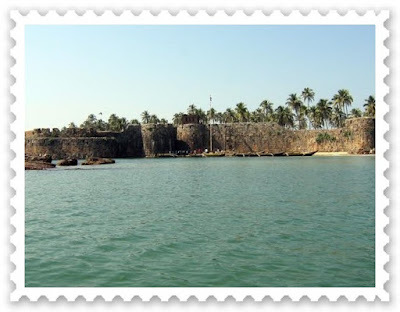 The oldest fort on Sindhudurg coast constructed in the regime of Raja Bhoj of shilahar dynasty in 1205 (construction period 1193-1205). The fort was earlier known as “Gheria” as it is situated in the village “Girye”. Shivaji Maharaj won this fort from Adilshaha of Bijapur in 1653 and renamed it as “Vijay Durg” as the then Hindu solar ear’s name was “Vijay”. Vijay means Victory. Sprawling over an area of 48 acres, Vijaydurg, fort of victory, was once seized by the British following a bloody battle. They renamed it Fort Augustus. A dilapidated board at the entrance of the fort relates its history. One of the best views of the fort is from the jetty. The fort stretches out into the sea and a walk inside its precincts is worthwhile. Shivaji added triple rows of huge walls, umpteen towers and spacious inner buildings to it and strengthened it in the 17th century. Kunkeshwar Temple, an ancient Shiva Temple is located in Kunkeshwar village, 14 Kms from Devgad town. A pristine beach with a very long stretch of seashore and white sand adds to the beauty of temple surroundings. This beautiful temple near beach has alluring architecture with reminiscent of South Indian style of temple architecture. Yadav Kings built this temple in 1100 A. D. Chhatrapati Shivaji Maharaj who rejuvenated this temple many times was a frequent visitor to this temple. This temple is also famous as Kashi of South Konkan. Huge sea rocks of Malvan has easefully shouldered the responsibility of two Forts Sindhudurg & Padmagad on their broad chest. The name of the fort is given to the Sindhudurg district. Tourist from all over the world visit through out the year to see this Maratha glory.The fort was built with the help of huge rocks on the Kurte Island which amazes people & one appreciates imaginative power of Shivaji. In 1664 shivaji erected this fort on 44 acers of land. In Sindhudurg Fort there is ‘Shri Shivarajeshwar temple’ of King Shivaji. Also there are temples of Hanuman, Jarimari mandir and Goddess ‘Bhavani Temple’. Impressions of shivaji’s fingers prints found to be preserved here on one of the wall . Also lies, inside the fort worth seeing temples of Bhavanimata, Shambhu Mahadev, Jirimiri & Mahapurush. All are in good conditions. Tarkarli is a narrow stretch of beach with pristine waters, located at the convergence of the Karli River and the Arabian Sea. It is 546 k.m. away from Mumbai, 6 kms. south of Malvan, on the west coast of India. This place has gained prominence because of its transparently clear seas, where on a fairly sunny day, one can see the sea- bed up to a depth of 20 feet. This beach can be rightly called as ‘Queen Beach’ of Sindhudurg. 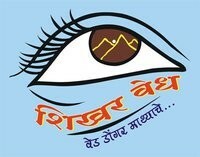 One needs to deposit 4000/- (Non-refundable) advance amount for Booking Private Vehicle, Activity Charges, Boats, Food, Accommodation etc. into the following bank account to confirm his/her registration. Last date for registration: – Tuesday 9th April 2019 , 5 pm OR Till Reg. Gets Full .